Everyone wonders, at least once in a while, just how much money their neighbors have in the bank. Is someone on your block a secret multi-millionaire? Are they swimming in debt to afford all those new cars, vacations, and such a lush lawn? It's totally normal to be curious how your stash of cash compares. And now, there's an easy way to see just how much wealth there is in your area, thanks to a nifty new chart that shows the concentration of millionaires in every state. 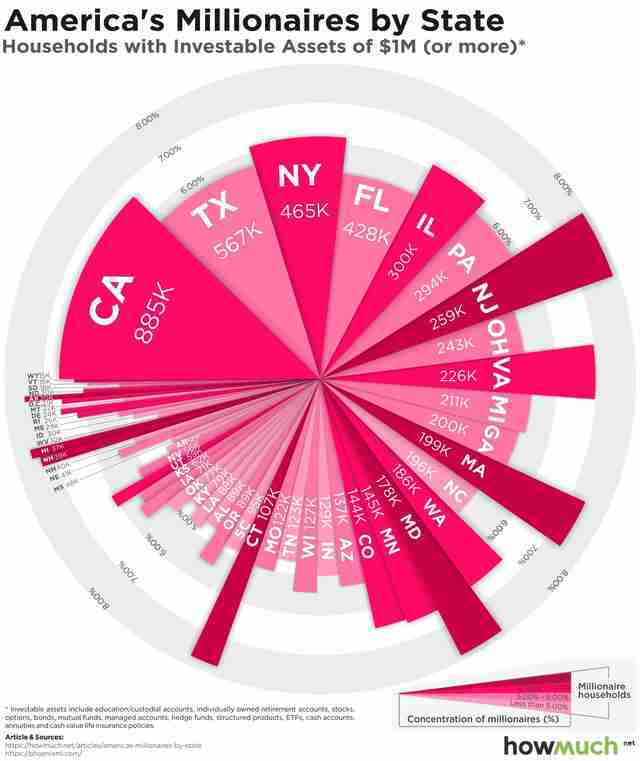 The new visualization, which was created by the folks at HowMuch using personal wealth data culled from Kiplinger, shows the total number millionaire households in each of the 50 states, as well the percentage of residents they represent there. 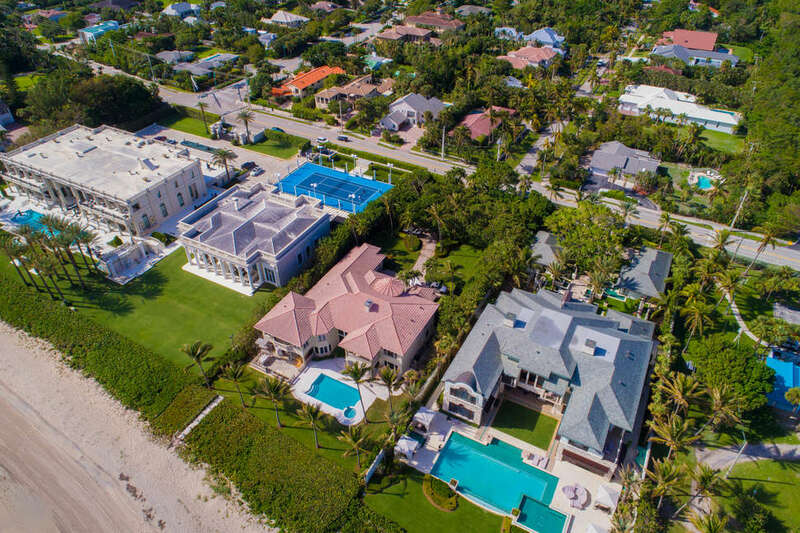 To ensure the stats were uniform across the board, they defined "millionaire" as a household that has more than $1 million in "investable assets," which could include everything from IRAs, 401Ks, and savings accounts to education accounts, brokerages, and cash value life insurance policies. As for which state boasts the highest concentration of millionaires, Maryland takes the top spot with 7.87% of its population, followed closely by New Jersey with 7.86%, and Connecticut, where 7.75% of residents are in the seven-digit club. Here's how the top 10 stacks up, ranked in terms of percentage of resident millionaire households. As HowMuch points out, if your goal is to achieve millionaire status, moving to a state with a huge a economy like California or New York isn't necessarily going to give you the best odds, since many states with smaller economies boast more millionaires as a percentage of their population. Also, it's kind of incredible to see just how much wealth there is in America, considering there are 36 states where millionaires make up at least 5% of its population. Then again, if you're not raking in millions quite yet, there are still plenty of great places where you can live high on the hog without shelling out too much money.